HOT! 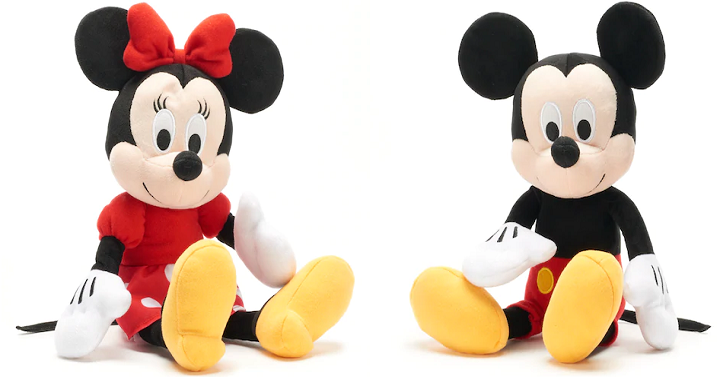 Kohl’s Disney’s Mickey & Minnie Plush Dolls Only $3.00 Shipped! This is the perfect time to snag your Disney goodies (think Easter, birthday’s or your next Disney trip!)! Kohl’s has their Disney Mickey & Minnie Plush Dolls for only $3.00! This is with their Kohl’s Care program so if you want the book you could add that to the fun as well for $5.00 more. Please keep in mind you can not use any coupons on their Kohl’s Care items but you’ll still earn Kohl’s cash and YES2YOU rewards with your purchase. AND, if you’re a Kohl’s cardholder, you can get FREE shipping on your purchase with coupon code FREEMVCJAN use at checkout.